One new popular diet with people trying to lose as much weight as fast as possible is the “3 day diet”. This diet is based on a very specific meal plan to be followed for three days in a row and proponents claim you can lose up to 10 pounds in those three days. During each and every meal, the only drinks allowed are black coffee, tea or water. But keep in mind that you should drink 4 to 6 cups of water a day to stay properly hydrated. Some versions allow you to sweeten your tea or coffee, but only with artificial sweeteners. Lemon is allowed as a condiment with each of your meals, you can purchase a bottle of lemon juice from any major grocery store and it goes particularly well with the tuna. 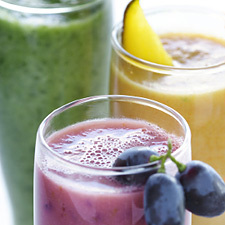 Some proponents of the diet claim that the careful balance of chemicals and enzymes are the cause of the weight loss. 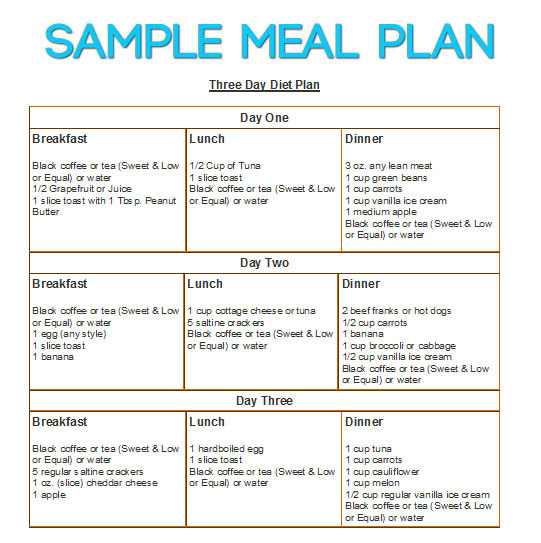 However, other dieting professionals claim that there is no clear evidence that this meal plan does anything other than lower your calorie intake. They also claim that the rapid weight loss can be mostly attributed to water weight and as soon as people are done with the diet, they will gain the weight back. While there is debate about the reasons for the weight loss, the diet itself seems to work. If you need to lose a few pounds quickly and don’t want to starve yourself, try this one; it’s only three days after all. I tried this diet and lasted the whole 3 days i only lost 1.8lbs but I’m hoping it will help me get over my weight plateau.